Carpool with Your Neighbors in Your Golf Cart to Local Beaches, Parks and More! Golf carts can enhance your life, as well as the lives of your family and friends. Of course, golf carts can always be used to make golfing even more enjoyable, but they are also a fun, open-air transportation option for those who live in small towns and local neighborhoods; and they are particularly enjoyable in New Smyrna Beach! Just think about it…you can load up your cart with your favorite peeps and head to the local beaches or parks. The gas is cheap (even more so than carpooling in cars! ), and golf carts make nature trails easier to navigate. 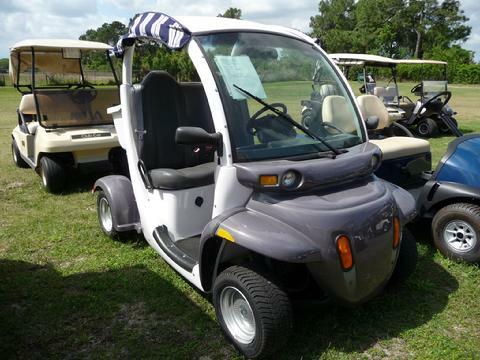 Plus, since golf carts can be completely outfitted with safety gear including turn signals, windshields, wipers, headlights and seat belts, you can have peace of mind carting the people you love. Golf carts are also great for carpooling with kids. Pile in the wee folk and ride down to the nearby athletic field to take in some t-ball or soccer. Then head over to the local ice cream stand or pizza joint. Well golly be; you’ve just become the cool parent! Or take your housebound neighbor to pick up some items at the convenience store or visit friends. Dogs love golf carts too because they are totally surrounded by open air and enticing sights and smells. The options for great carpools with golf cars are endless. So, whether you are a parent, grandparent or just a friendly neighbor, pile in those peeps – even the furry ones – and get ready to enjoy the ride!